Unitarian Universalist Congregation of Fayetteville | You are welcome here. If you are new to our church, or just visiting today, please know that you are welcome here. Whatever faiths you have known, if any, you are welcome here. Whomever you love, you are welcome here. We welcome all people of diverse beliefs, regardless of race, ethnicity, gender or sexual orientation. 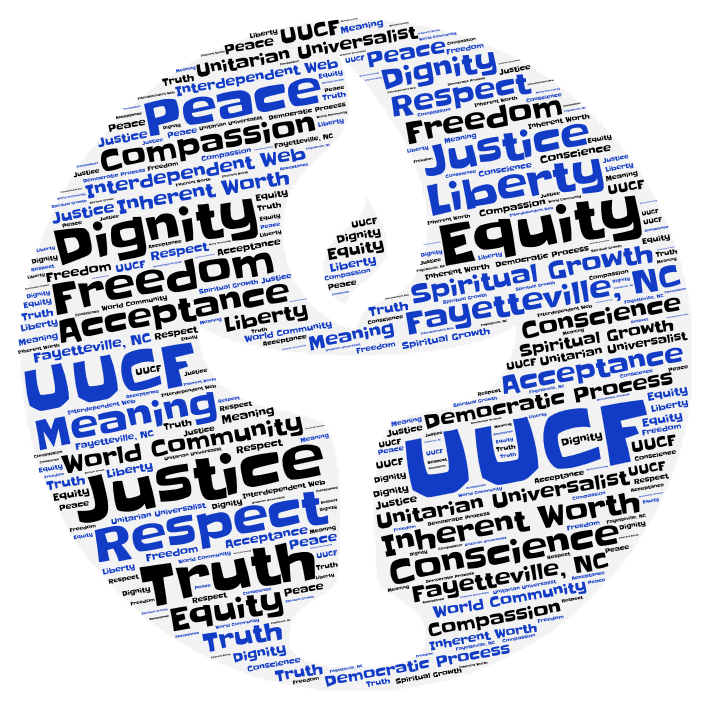 We Are the Unitarian Universalist Congregation of Fayetteville, NC.